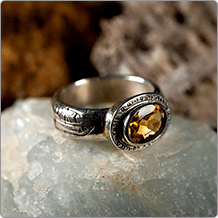 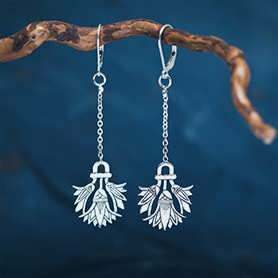 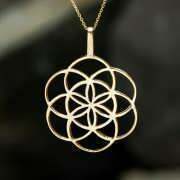 Seed of life is worn as a symbol of protection for pregnant women. 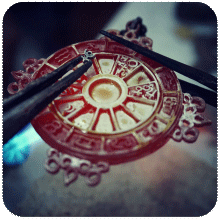 It helps to create new ideas and to open new pathways in life. 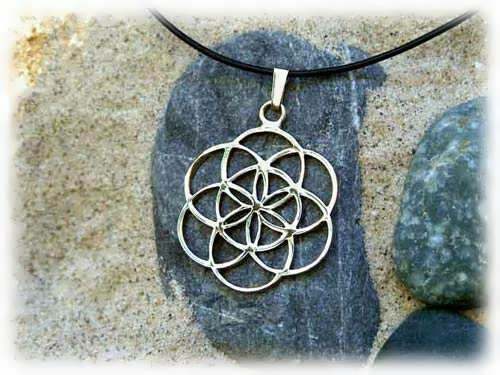 The seed of life is a symbol for the 7 days of creation. 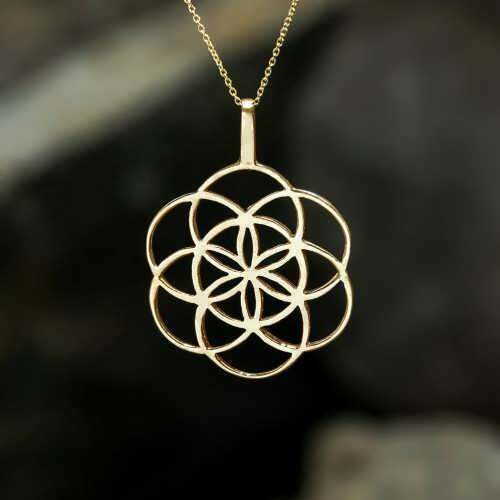 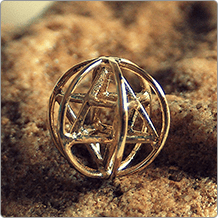 It addresses the creative process of the Flower of Life - a geometric shape that symbolizes the entire universe. 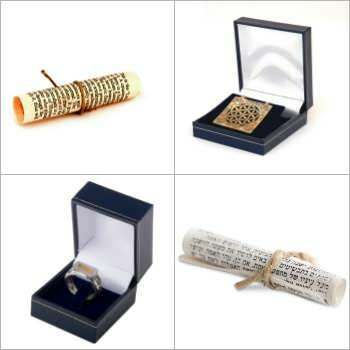 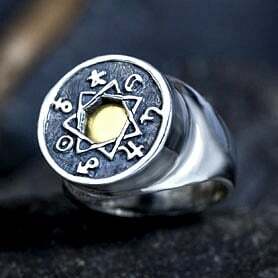 The seed of life is used in all religions. 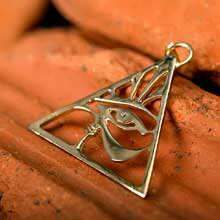 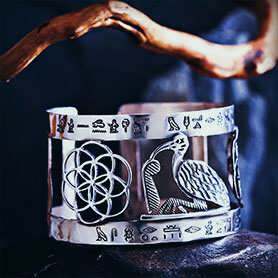 It is found in Synagogues, Churches, Kabbalah books, prayer books, and of course, the ancient Osirian Temple in Abydos, Egypt. 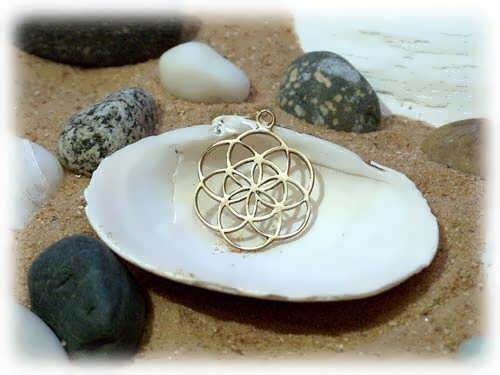 This is the original Seed of Life Pendant that I've been creating since 1998. 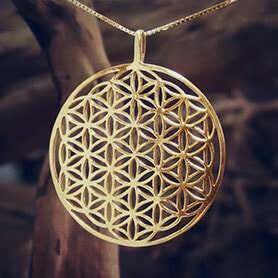 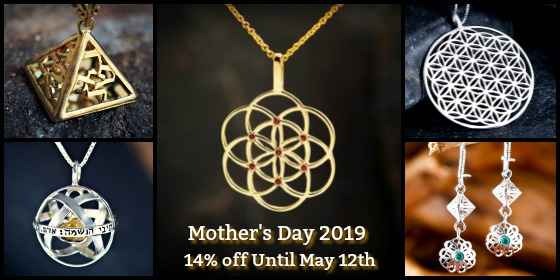 It was the first Flower of Life pendant in the world!